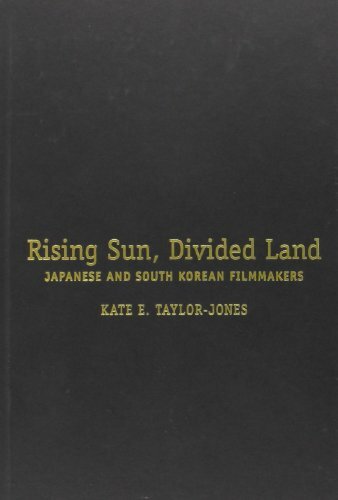 [PDF] Rising Sun, Divided Land: Japanese and South Korean Filmmakers | Free eBooks Download - EBOOKEE! Description: Rising Sun and Divided Land provides a comprehensive, scholarly examination of the historical background, films, and careers of selected Korean and Japanese film directors. It examines eight directors: Fukasaku Kinji, Im Kwon-teak, Kawase Naomi, Miike Takashi, Lee Chang-dong, Kitano Takeshi, Park Chan-wook, and Kim Ki-duk and considers their work as reflections of personal visions and as films that engage with globalization, colonialism, nationalism, race, gender, history, and the contemporary state of Japan and South Korea. Each chapter is followed by a short analysis of a selected film, and the volume as a whole includes a cinematic overview of Japan and South Korea and a list of suggestions for further reading and viewing. No comments for "[PDF] Rising Sun, Divided Land: Japanese and South Korean Filmmakers".